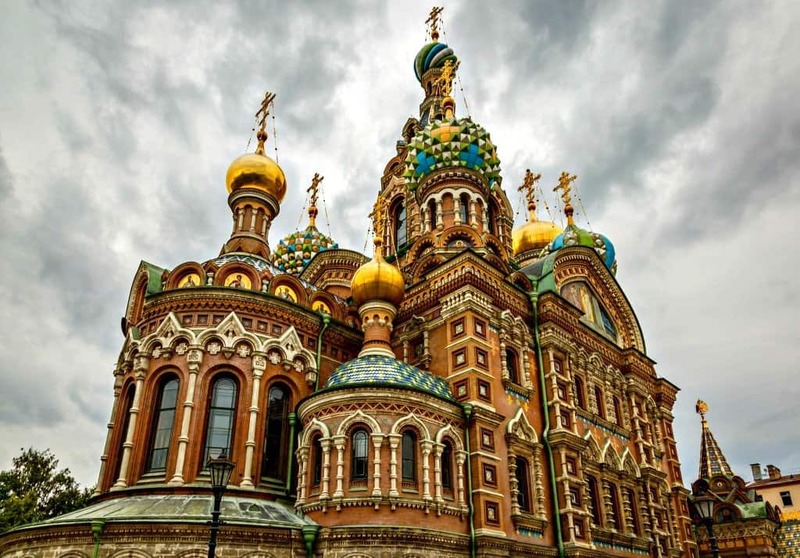 St. Petersburg is a city with a long and eventful history and is one of the best cities to visit in Russia. In 1611, the town was born under the name Nyens and steadily grew in size and prestige. As regimes rose and fell around the great city, it was renamed again and again until it arrived at its present name, St. Petersburg. The history of the city has left numerous iconic relics, such as beautiful old churches with fantastically ornate architecture. Today, visitors to the city love to explore the culture of the city as well as participate in watersports and enjoy the fine arts that the city has to offer. The ornate city boasts a fantastic culture scene including concerts as well as numerous museums and historic tours. Altai is a Russian republic in southern Siberia whose terrain Altai is perhaps the most beautiful region in Russia. 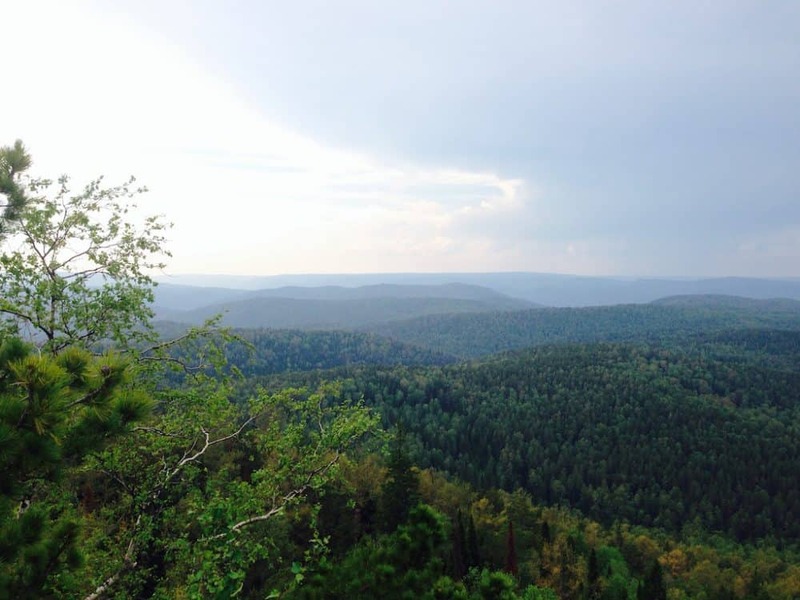 This wilderness area is nearly untouched, and the natural beauty is perfectly breathtaking. Altai is filled with glaciers and glacial lakes, as well as therapeutic hot springs. 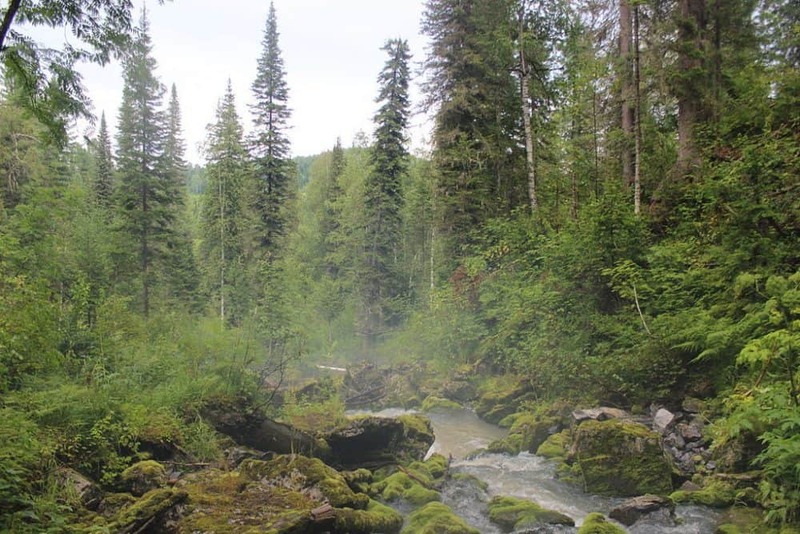 Both sightseers and health seekers love this wilderness area for its undefiled natural offerings, this is a wonderful unspoilt place in Russia which is perfect for backpackers to explore. Moscow is the capital of Russia, as well as the nation’s cosmopolitan epicentre of arts, music, science, academics, and politics. This millennia-old city is a fascinating place to explore for visitors, with art and architecture from every era, besides plenty of modern-day pleasures to partake in. 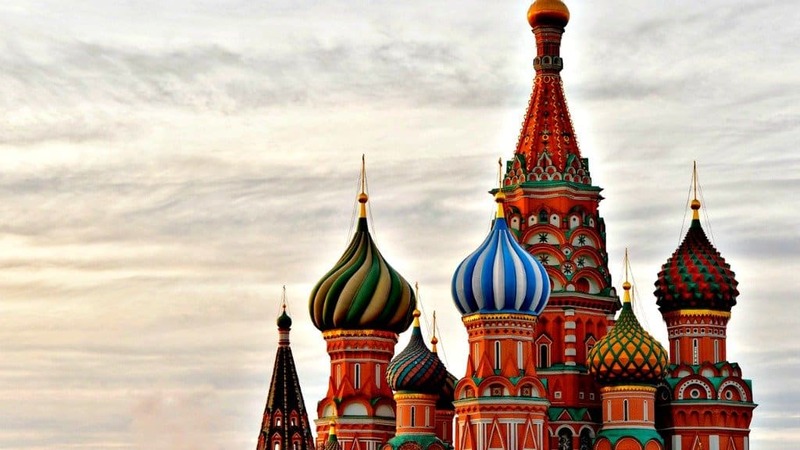 St. Basil’s Cathedral is a particularly interesting building, with patterned multi-coloured towers and balloon-like roofs. Although it looks a bit like something out Disneyland, the Cathedral and all of Moscow is no mythical fairy tale, but a real-life adventure! In the case of Moscow, reality trumps fantasy. This Russian metropolis is a beautiful place to travel to and quite unlike anything you’ll find elsewhere. This is the fourth-largest lake-bound island in the world and for a step back in time, Olkhon Island is a wonderful place to visit and stay in Russia. Located about 250 km north-east from Irkutsk, it’s reachable overland or by the sea and here the culture of the local natives is remarkably well-preserved, so you can experience a unique corner of Russia in an authentic way. 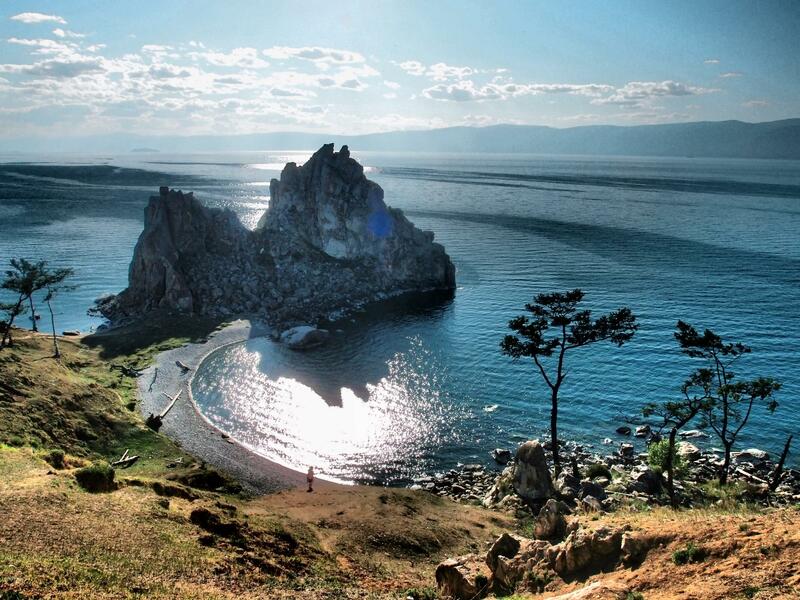 This large island is in the middle of Lake Baikal, and its isolated location makes it both uncrowded and naturally breathtaking. If you’ve explored all the sites in metropolitan Russia and you’re looking for more, then this is the place in Russia to head to. The Golden Ring is a series of cities that are considered the foundation of Russia’s formation and culture. 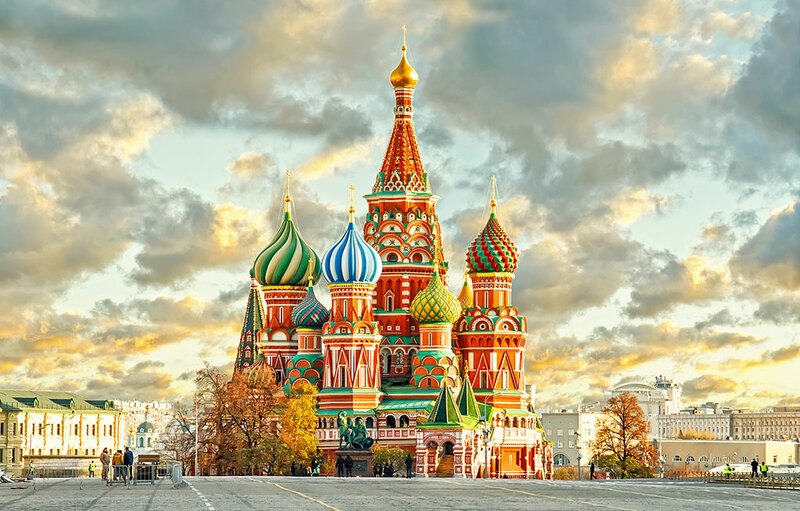 For travellers especially interested in Russian history, a trip through some of these wonderful cities is a must-see in Russian. A few good ones, to begin with, are Yaroslavl, Vladimir, and Suzdal. Many of the sites within these cities are UNESCO protected because of their value not only to Russian history but to world history in general. Many of the structures date back to medieval times and beyond, so visitors to the area can get an experience of what life was like long ago. If you visit any cities in the Golden Ring, be sure to tour a few museums and monasteries as well. The adventurous will love gorgeous Kamchatka, a large peninsular landmass in the north of Russia. 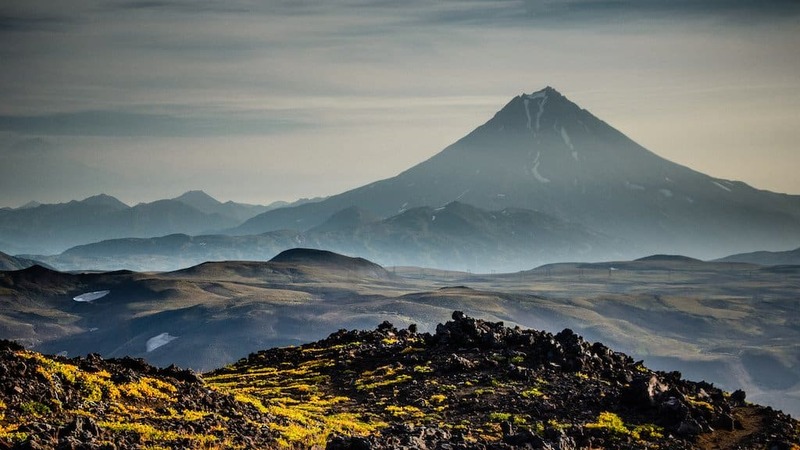 Although Kamchatka which lies in far eastern Russia, between the Sea of Okhotsk on the west and the Pacific Ocean and Bering Sea on the east, is rather isolated, it continues to draw travellers because of its imposing volcanoes, steaming craters and ethereal landscapes. Between interesting buildings, strange geological formations, and numerous natural wonders, there is always something to discover in Kamchatka and it’s easily one of the most beautiful places to visit in Russia. Kizhi is a quiet island located near the geometrical centre of the Lake Onega in the Republic of Karelia, in the north of Russia. During the warm summer months, the small community is sustained by tourism to the Kizhi State Open-Air Museum of History, Architecture, and Ethnography. This is an open-air museum dedicated to educating visitors about 18th-century life in Russia. If you visit Kizhi, you can walk through this preserved town and learn about the everyday life, religion, entertainment, and families of rustic Russia. One of the top attractions in Russia, it’s an informative and unique experience that is worth the trip. Peterhof is a sub-district of St. Petersburg, and it’s worth a place on this top Russian destination list because it’s home to the beautiful Peterhof Grand Palace. The Palace is an impressive structure dating to 1714 when Peter the Great of Russia began construction on his famous palace. In the years that followed, Czars continued to add their own wings, gardens, and ponds to the palace and grounds. Unfortunately, much of the palace was destroyed by Axis Powers during the Second World War, and repairs are still ongoing today. Still, the Peterhof Grand Palace is an amazingly beautiful and majestic place to visit. Visitors are able to arrange tours of the grounds and the ornately decorated interiors. The town of Ruskeala in Karelia is situated four hours north from St. Petersburg and is easily one of the most beautiful places to visit in Russia. The area is nestled next to the Finnish border on the famous Blue Highway, which connects Norway, Sweden, and Finland to Russia. Built upon the Tokhmayoki River, Ruskeala is renowned for its superb natural beauty and history as a marble mining centre. It has a proximity near to a number of beautiful lakes, forests and recreational centres. Ruskeala Mountain Park is a major attraction, offering underground tours of the inspiring marble quarries. 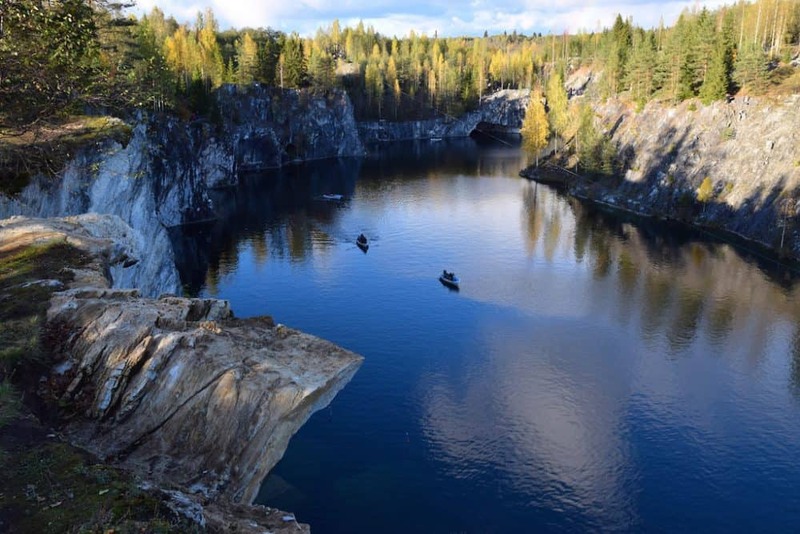 The Ruskeala Marble Canyon provides boating activities on colourful marble lakes, while the Ruskeala Waterfalls are a popular location for organised walks among the breathtaking scenery. 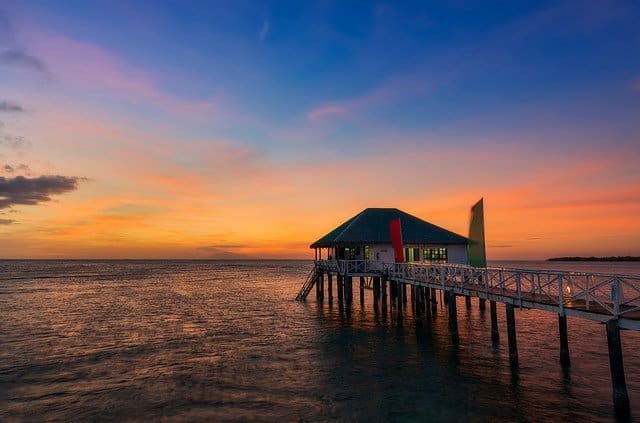 Besides these natural wonders, tourists will also find a variety of hotels, shops, and activities on offer! Pskov is an ancient city not far from the Estonian border. 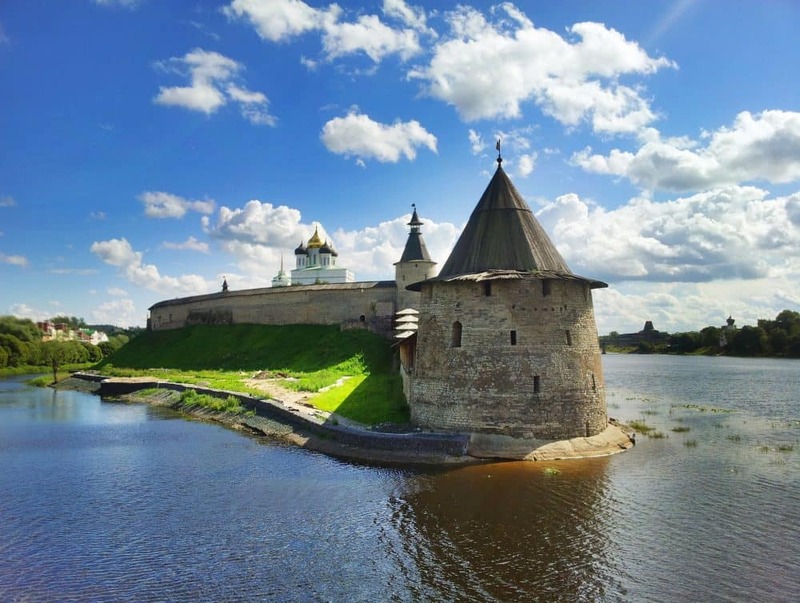 The city is a great destination to travel to in Russia as it offers many lovely examples of historic architecture, especially churches and monasteries, along with the most prominent attraction – Pskov Krom. 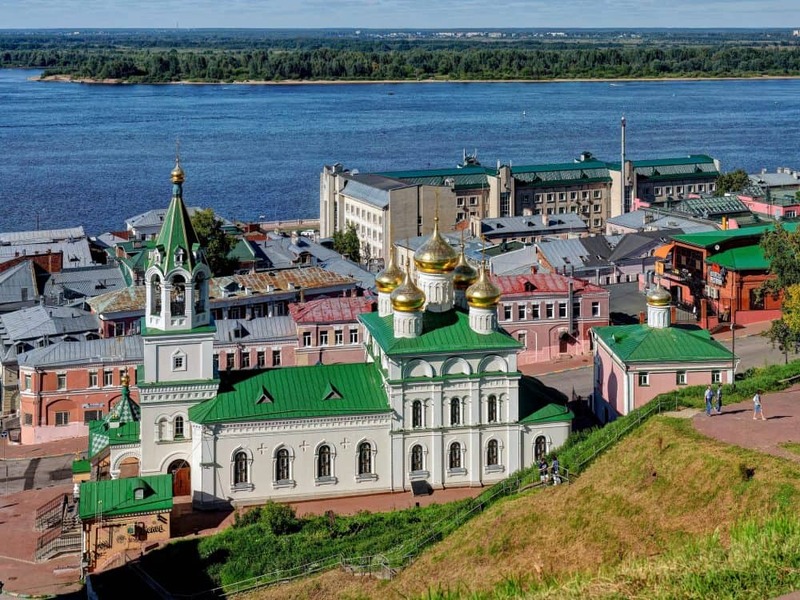 This medieval riverside citadel is a Russian architectural gem and features the equally popular Trinity Cathedral. The 12th-century Mirozhsky Monastery is another attraction well worth visiting and is renowned for its impressive religious murals. In addition to fantastic ancient architecture, there is a wide variety of museums and theatres in Pskov city, along with a plethora of interesting monuments and statues to discover. Situated in northwestern Russia, Kenozersky National Park is this popular place to visit in Russia for tourists. Surrounded by acres of lush woodland and waterways. The beautiful park is dominated by the large Lake Kenozero and is much loved by walkers, cyclists, and organised tours. 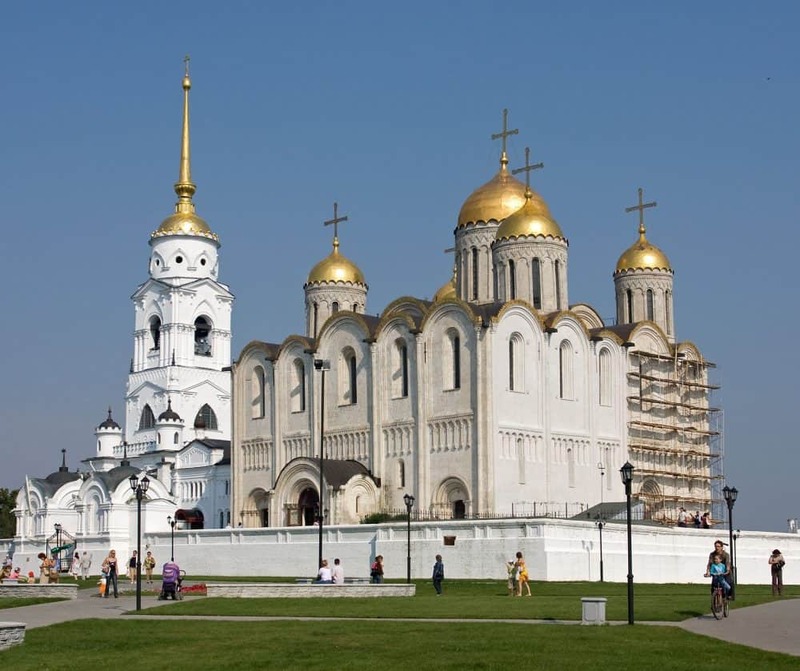 Scattered around the park, tourists will encounter countless historical buildings, such as churches and monasteries, the majority built by the Novgorod people, who were the first inhabitants of this area. 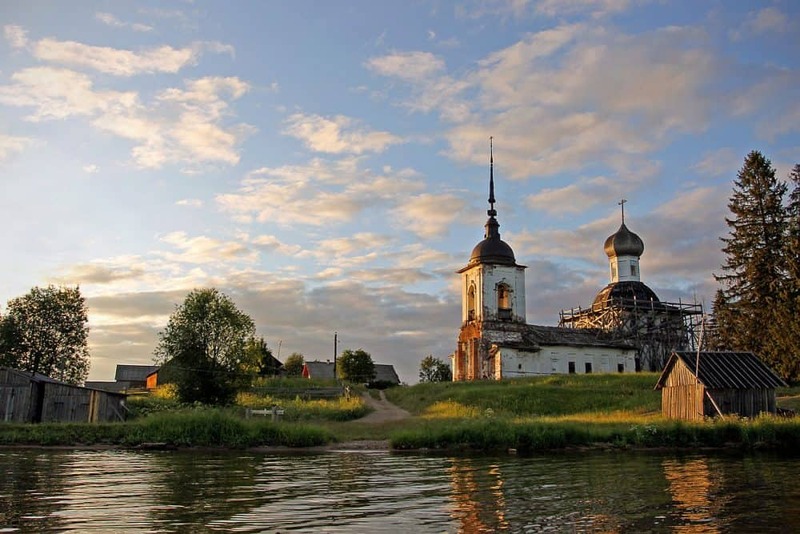 Quaint Russian villages line the edge of the lake and offer a fascinating insight into the historic local culture. Since 2004, Kenozersky National Park has been a UNESCO Biosphere Reserve, making it a key conservation area for ecosystems and species local to the area. 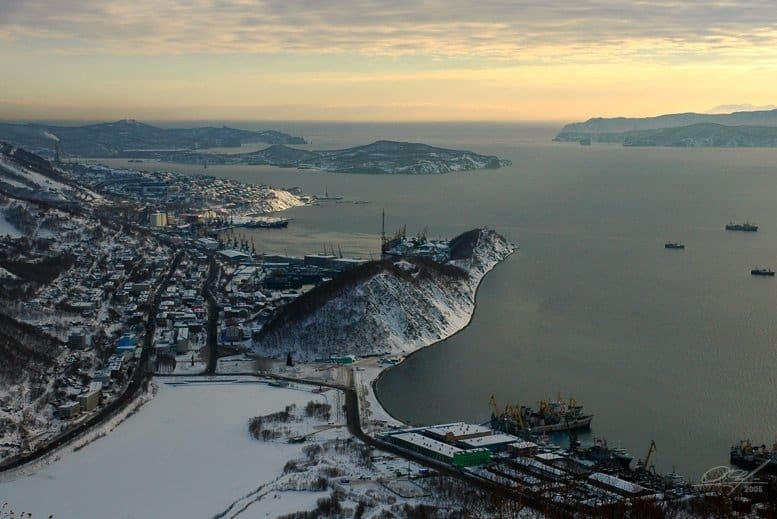 Located in Russia’s far-eastern region next to the Bering Sea and Sea of Okhotsk, the city of Petropavlovsk-Kamchatsky has an awe-inspiring backdrop of mountainous lands. The city is a great place to stay in Russia and is becoming increasingly centred around tourism, offering boating and organised trips to nearby scenery, including the Valley of Geysers and Uzon Volcano. Besides amazing scenery, tourists can visit many museums, theatres, and sights of historical significance. 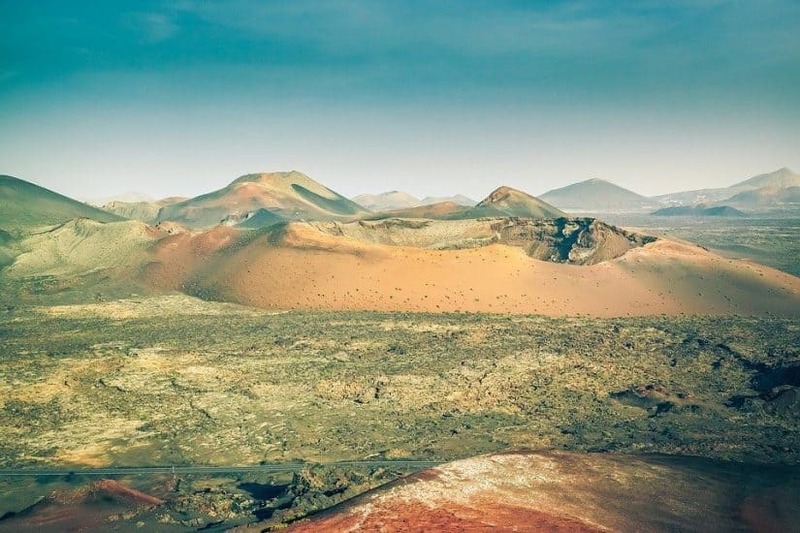 Popular destinations nearby include the Monument to Peter and Paul, the Tri Brata volcano and nature reserve, and the volcanic museum, Vulkanarium. A must see attraction in Russia, the Russian Arctic National Park is located in the northern icy region of Severny Island on Novaya Zemlya. 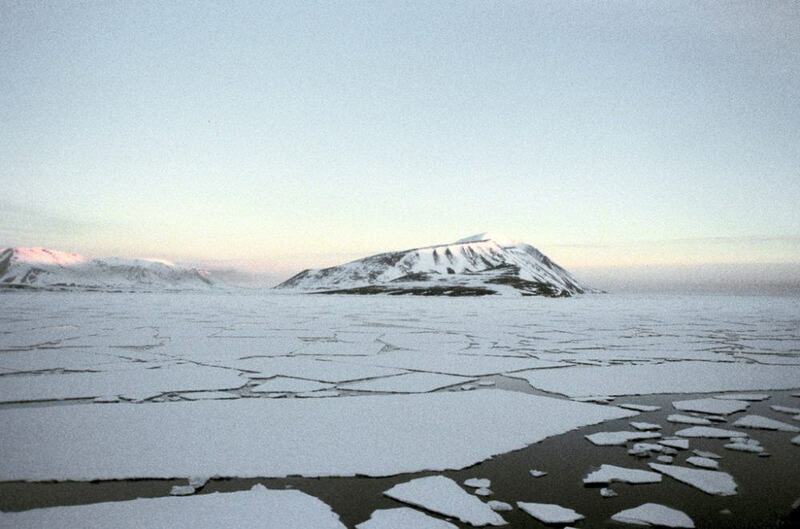 Further north, the archipelago of Franz Josef Land also forms part of this deserted park. It is ideally suited for tourists who enjoy vast open landscapes and marine mammals. The area is great for sightseeing unusual arctic-dwelling animals, especially grey and bowhead whales, polar bears, and walruses. Opened in 2009, the national park is an important area for conservation and ecological study. Vladimir, located just east of Moscow, is a bustling, historic city and a major tourist attraction in Russia’s western region. 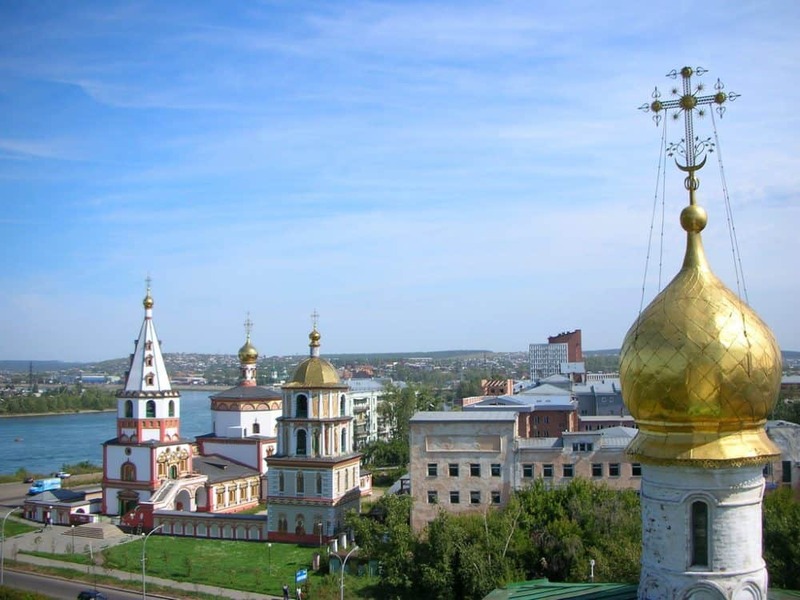 As the capital of the Vladimir Oblast administrative area, the city is fortunate to have retained many examples of historic Russian architecture and is well-connected to major transport links, including road and rail. The city is a UNESCO World Heritage Site and provides tourists with plenty to see and do. The Cathedral of Saint Demetrius and Assumption Cathedral in Sobornaya Square are major attractions, as are the ancient churches of St. Nicholas in Galea and Nikitskaya Church. Visitors can also visit Bolshaya Moskovskaya Street for shopping and recreation, while museums and theatres provide plenty of entertainment value. 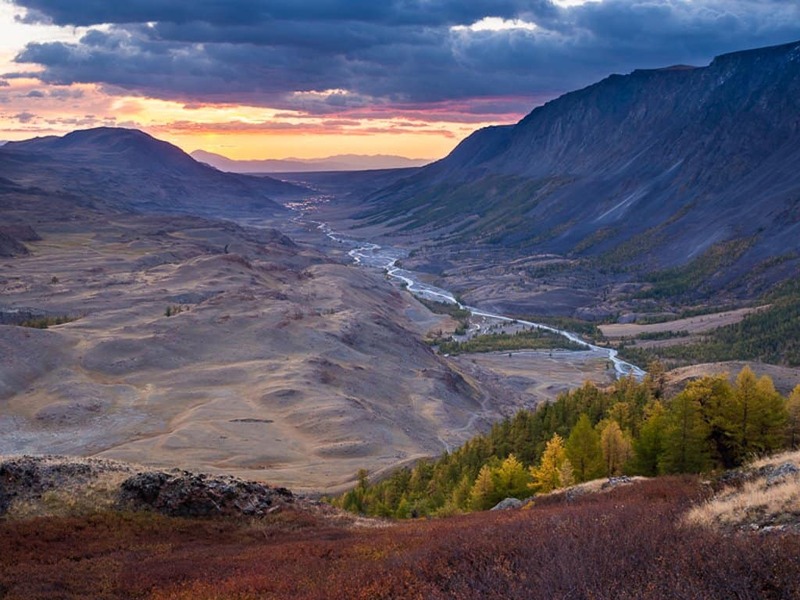 Shorsky National Park is located in eastern Russia, not far from the border with Mongolia, China, and Kazakhstan. 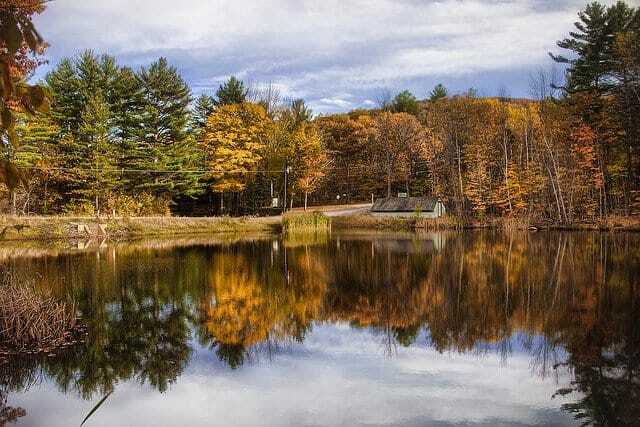 It is a mountainous region of dense woodland trails that are perfect for long walks and fresh air. The park is one of the best natural attractions in Russia and is home to a variety of wild animals, including brown bears, deer, wolves, and lynx. Tourists that visit this Russian gem can expect to find a wide range of activities within the boundaries of the park, such as caving, horse riding, walking, and boating. Besides vast expanses of forest, tourists can also enjoy beautiful cave formations and waterfalls. The terrain is quite rugged and mountainous at times, but for the daring, the scenery is truly spectacular! Irkutsk is a large city located in East Siberia, near to the southern tip of Lake Baikal, said to be the deepest freshwater body of water in the world. Known as a principal stop on the Trans-Siberian Railway, the city is a great spot in Russia to explore as it blends traditional architecture with 21st-century living. Tourists can expect to find quality shopping, amazing culture, and plenty of entertainment in bars, theatres, and museums. The city also plays host to the Central Market and a variety of western-style indoor shopping precincts. Stolby Nature Reserve on the banks of the Yenisei River is located just south of the city of Krasnoyarsk. The reserve is popular with walkers, cyclists, and rock climbers and features dense forest surrounded by interesting rock formations. This area, known as The Pillars, features huge rock monoliths up to nearly 100 feet in height, offering many challenges to new and even seasoned rock climbers. 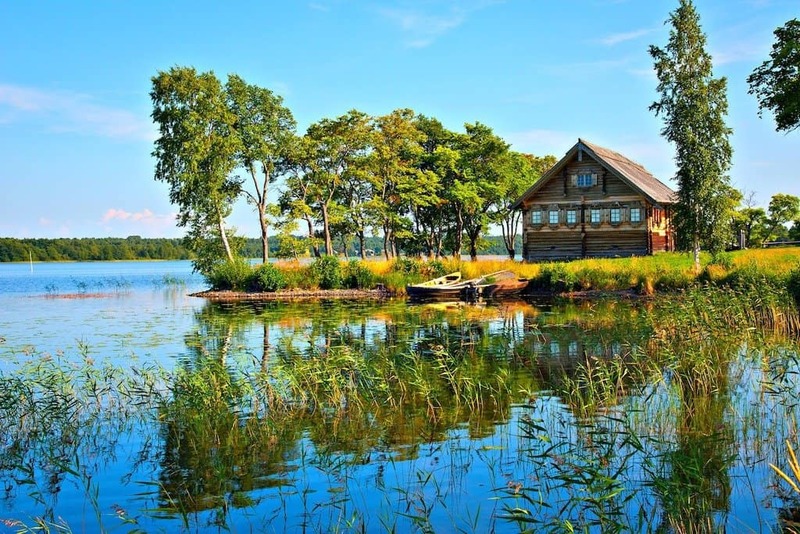 In addition, the reserve has plenty of accommodation and guest houses, although many tourists enjoy this wonderful place to travel to in Russia as there are lots of various camping opportunities available. 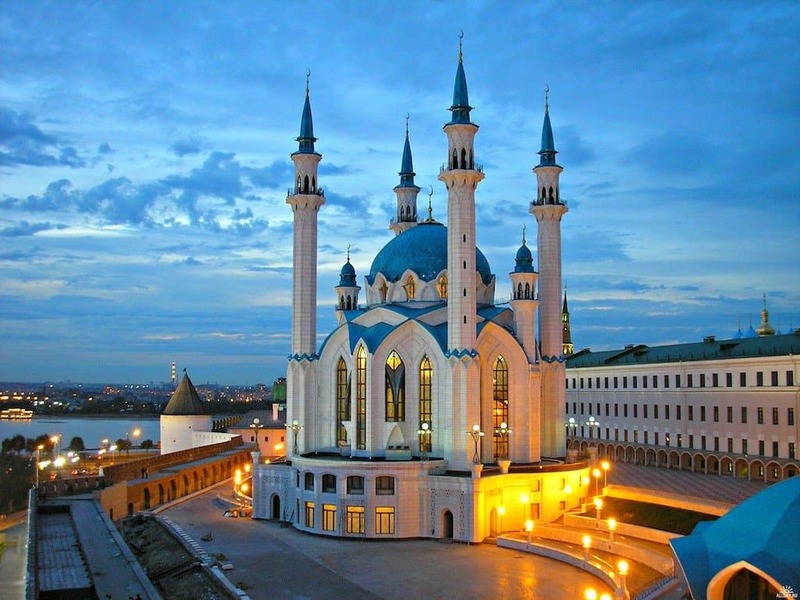 Kazan is an eclectic city, with its identity rooted in sports as well as arts, religion, and sciences. It is perhaps most famous for its athletic events, and is often called the “Sports Capital of Russia.” However, visitors to Kazan are more likely to encounter its numerous museums and religious centres. Huge mosques exist side-by-side with massive cathedrals, all equally beautiful and masterfully designed. This is a tourist hot spot in Russia as there are various museums from art to science to history available for the lifelong learner, such as the Museum of Happy Childhood and the Museum of Soviet Life. It’s certainly an interesting and diverse city in Russia for the urban explorer to discover. Nizhny Novgorod in western Russia resides on the Volga and Oka rivers. This city of over one million inhabitants combines a historical past with a modern, industrial present. 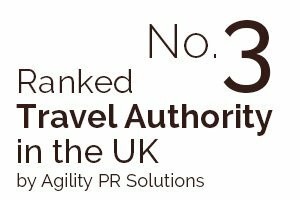 With fantastic transport links, the city is easily accessible by rail, air, or car. The Nizhny Novgorod Kremlin complex is perhaps the most notable tourist attraction. This medieval fortress is an architectural masterpiece, featuring 12 towers lined on its walls. But the city has plenty more on offer for tourist to explore, from Minin and Pozharsky Square to the Chkalov Stairs. Sormovskiy Park is a notable hotspot and offers outdoor recreation areas that are ideal for the kids. Ice skating, a fun fair, and outdoor entertainment are all featured here. 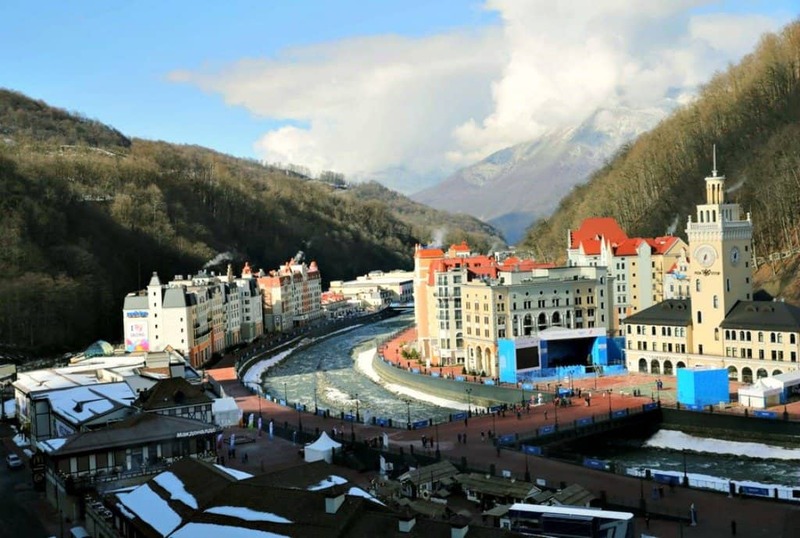 Sochi became famous during the 2014 winter Olympics, but it’s also awesome in its own right. This city is located on the edge of the Black Sea, which makes it ideal for both winter and summer sports. During warm seasons, amateur and professional athletes love to take advantage of water-sport activities such as kite surfing and during the winter, it’s a popular destination for skiing and snowboarding. If you’re looking for a place to get your athlete on, Sochi is a great choice and I personally think the views and the wonderful beach makes it a must-see Russian destination! Any of these 20 beautiful places to visit in Russia would make a wonderful destination for your trip. Wherever you decide to go, you will discover a unique and varied culture that Russia offers to the world. Get ready for a unqiue trip of a lifetime, seriously! All words by guest blogger Daniil Timin. Daniil was born in Kirov, Russia, but is currently travelling and working around the world. He’s author of the blog russianblogger.me where he blogs about life and travelling in Russia. 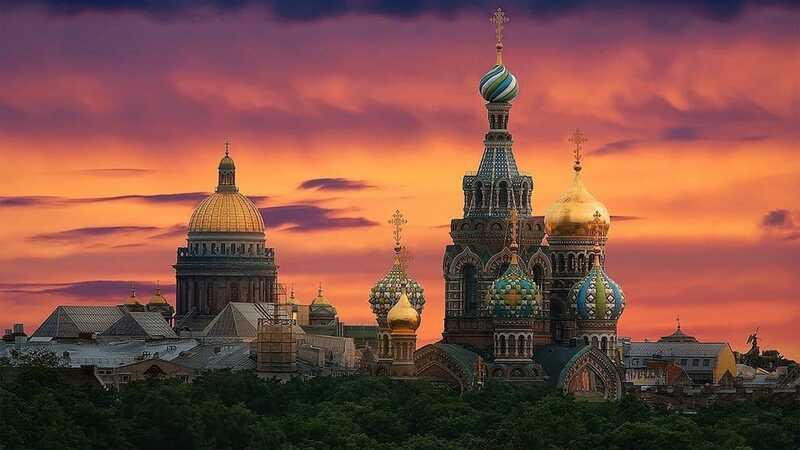 My love for russia…such a beautiful place would love to go there and Kenya too! Beautiful looking country and architecture! 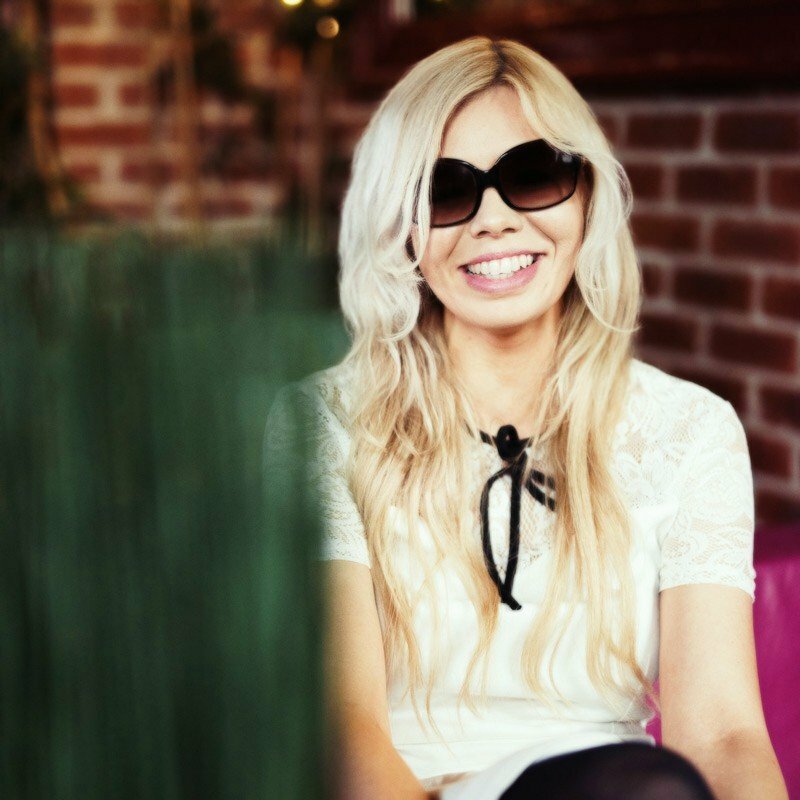 Nice article, never been to Russia but lived in Germany for 5 1/2 years. Would be an amazing experience of their cities and history. Beautiful cathedral buildings in the photos, thank you for sharing. Thanks for commenting – yes Germany is very beautiful too! wow beautiful Russia, looks so cool! Russia looks incredible, I have to admit I haven’t thought too much about visiting but this post is changing my mind, especially love the look of the architecture. It’s my dream to visit Moscow and St. Petersburg and of course the Trans-Siberian railway. Such a different looking travel destination! 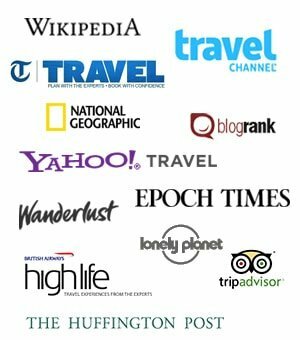 Great article with amazing photos…I had never visit Russia,,,But After your post i am planning to visit Russia with my travel freaky friends. Thanks for sharing such great post. Ha ha sounds like a plan Sophia, enjoy! Russia looks like one seriously beautiful country, hope to visit one day soon! Nice article with great photos. I have never consider visiting Russia and it seems like a nice place to visit after all. My brother told me after living in Russia for over 2 years that I should consider visiting. Thanks for the very informative article. Yes it’s a mysterious travel destination and looks like it’s got to offer, thanks for commenting Marc! To be honest, I’ve never heard of Altai before. It is one of these places where I would like to do some hiking! Do you think it would be possible to do that there? Great article. 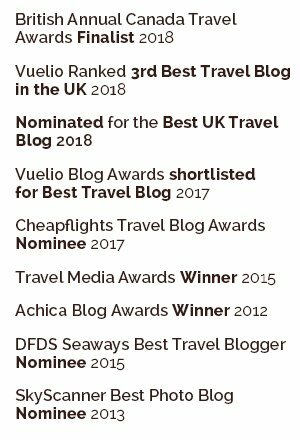 I must admit that I had never really considered Russia as a destination prior to reading this blog, but now I’m thinking I should really look into it! Oh wow must have been quite an experience! Thanks for your comment!